Juan Felipe, son of California farm workers - a poet, playwright and children's book author and novelist. In addition to his twenty-four published works, Juan Felipe's recent books are Half of the World in Light: New and Selected Poems (University of Arizona Press), a New York Times Best Books of 2008 and 2009 National Book Critics Circle Award winner and 187 Reasons Mexicanos Can't Cross the Border: Undocuments 1971-2007 (City Lights), which won the National 2008 Pen USA Poetry Award and the 2008 Pen/Oakland Josephine Miles National Poetry Award. Although known as poet, since the late sixties, Juan Felipe has developed, co-founded and founded a number of performance and theatre ensembles. For his 2009 Montalvo residency he will be writing an original new script on African refugees and exiles and will debut the draft with an ensemble in a new form of spoken-word-in-movement - SPOMO™. 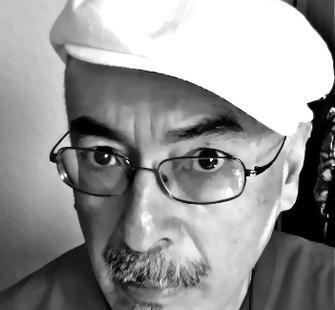 He is the Tomás Rivera Endowed Chair in the Department of Creative Writing at UC Riverside.